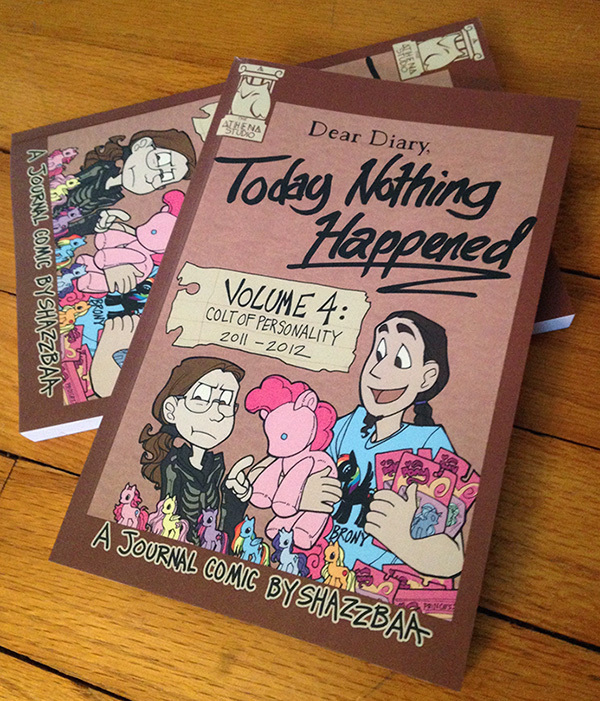 "Today Nothing Happened" is finally complete -- Volume Four is here at last! Today Nothing Happened Vol 4: Colt of Personality contains the fourth year-ish of TNH comics (comics #399-520 in the archive) wherein I slowly transform into an adult, and my brother slowly transforms into a brony with significantly more enthusiasm! 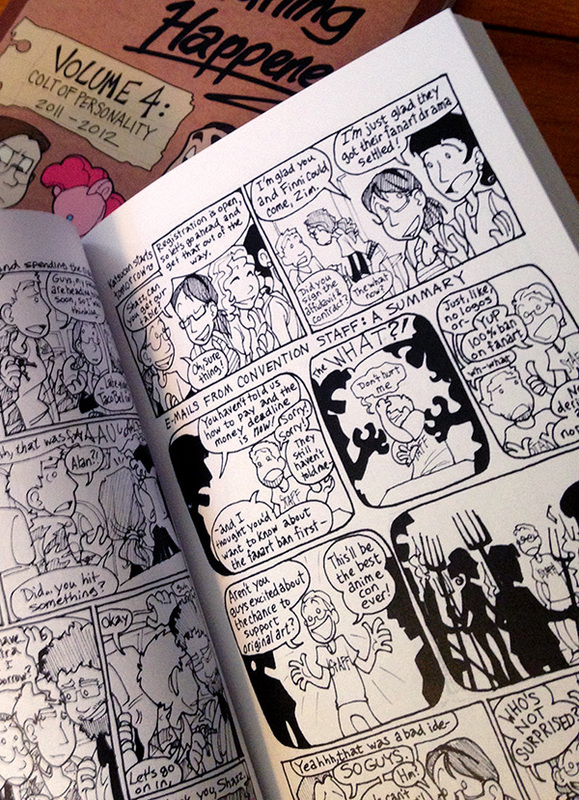 There are also a few bonus comics, including a short extra story I never posted online! 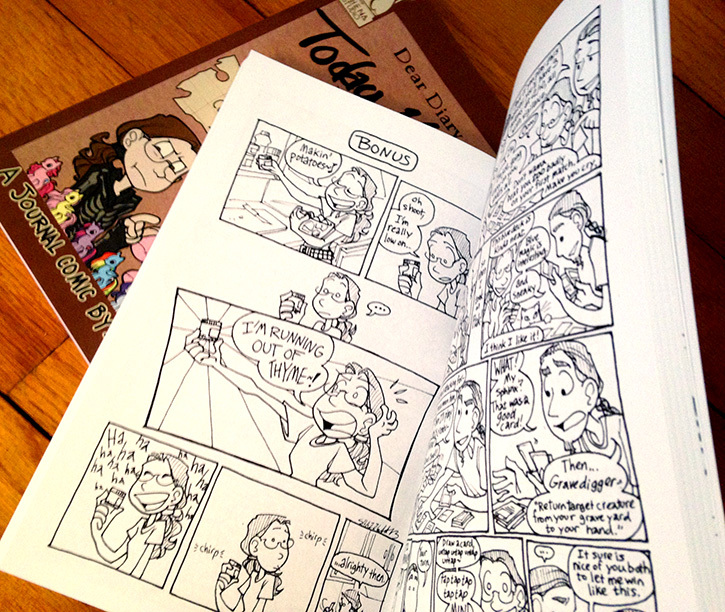 As always, if you add a few extra dollars, I'll sign the book and doodle a little something for you!